Woodpecker Truck has been in business since 1960. Over the years the staff at Woodpecker Truck has seen and worked on almost every type of truck or trailer. Whether it be for farming, construction, logging, or hauling freight coast to coast we have the experience. Our rental department can help you with your needs. 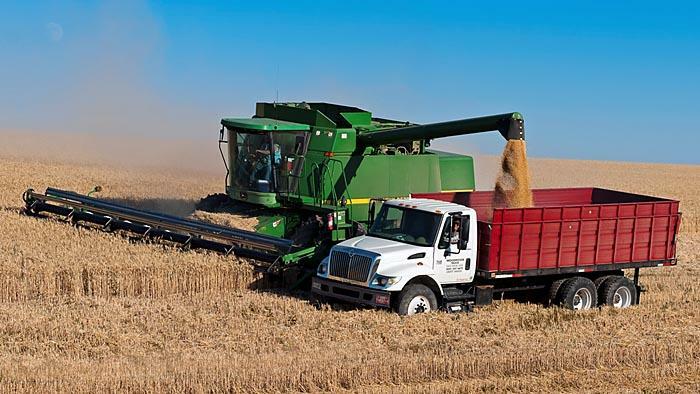 We offer Farm Trucks, Dump Trucks, Water Trucks, Day Cabs, Sleepers, Grain Trailers, End Dumps, Belly Dumps, Side Dumps, Lowboys, Flatbeds, Step Decks, Equipment Trailers, Etc. We have the experience and equipment for you. Apply for rental online with our secure server rental application.